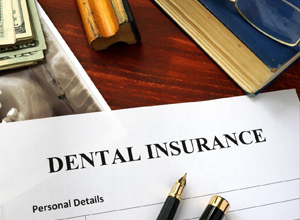 Our team is happy to accept many forms of dental insurance in Meriden; we realize that this provision often allows families to afford high-quality care that might otherwise put a strain on their budget. The emphasis that insurance places on preventive care enables our patients to maintain good oral health without putting a heavy financial burden on them. Here at Meriden Dental Group, we are experts at handling dental insurance, and we are pleased to help our patients understand and take advantage of their benefits. Some plans have a deductible, which is the amount that you must pay before coverage kicks in. However, it isn’t uncommon to find insurance policies that don’t have any deductible at all. Dental insurance has a strong focus on prevention; it encourages policy holders to stop oral health problems before they become serious. It also helps patients to pay for treatments that address a wide range of dental conditions; some of the problems that it may cover include cavities, orthodontic problems, gum disease, tooth replacement, and more. Medical insurance, on the other hand, covers procedures that are deemed a medical necessity. For example, a dental abscess or facial trauma may fall into this category. In some cases, medical insurance may even help to pay for dental implants. If you are unsure whether you should use your dental or medical benefits to pay for a treatment, examine the fine print of each of your policies to determine what sort of procedures they cover. Our team would also be happy to take a look at your insurance information and help you make sense of it. Whether Meriden Dental Group is in-network or out of network with your insurance provider, we will help to you understand the cost involved in your treatment and provide you with guidance on how to take advantage of your dental benefits. Although we are happy to be your Delta Dental dentist and your “Aetna dentist near me,” that doesn’t mean you should not come to us for treatment if we are out of your coverage provider’s network. We can still help you file your claim, and we’ll do our best to make sure you reap the greatest benefits possible from your insurance policy.